← The DC/CW Crossover This Year Looks Pretty Badass! 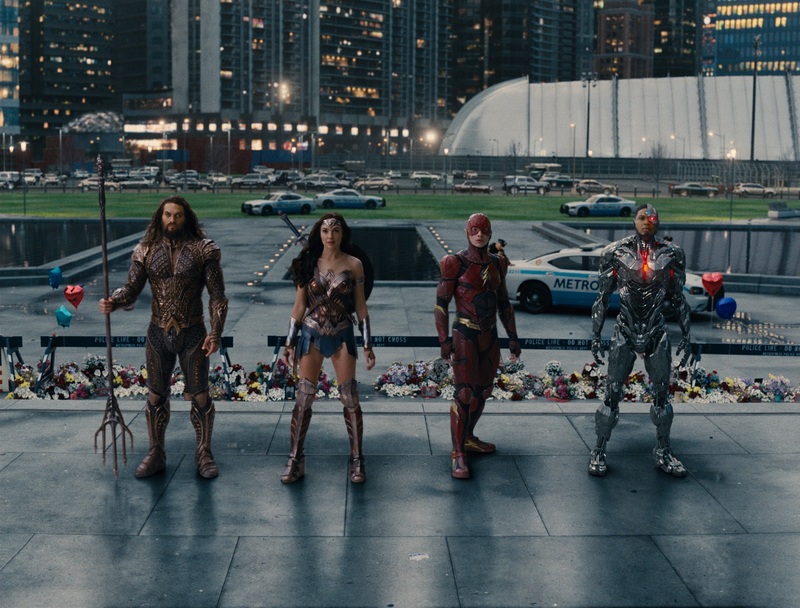 Just in time for DC to stop caring about a connected cinematic universe comes Justice League, the big screen gathering of some of DC Comics’ greatest superheroes! 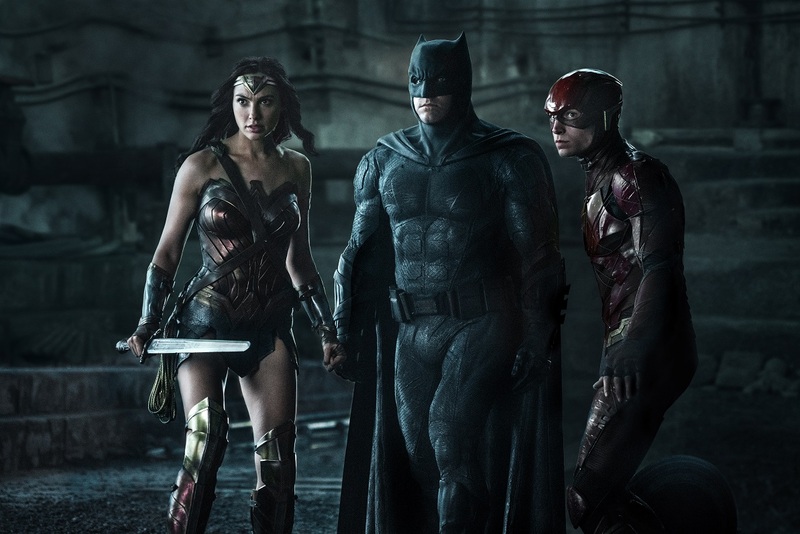 Coming after the great Wonder Woman solo film and the horrendous Batman v. Superman: Dawn of Justice team film, Justice League appears to be an attempt to course correct and just make a nice movie for once. I think they succeeded! I liked Justice League better than I expected to. I went in with very low expectations, but had to remind myself in the theater to stop looking for things to dislike and to just sit back and enjoy the film. I’m glad I did. I don’t know everything about the jumbled creation of this Justice League film, but it’s worth noting that director Zack Snyder had to back out during post-produciton due to a family crisis, and Joss Whedon stepped in to fix it up. I’m still a big Whedon fan, so that was solid news. But there’s also the fact that there were extensive reshoots, a lot of reports of recalibrating the film to be more likable, and the fact that it was originally pitched as a two-parter, but has since been pared down to just the one film. That’s a pretty rocky road to the cinema. But I’m not one to hold any of that against a film! Join me after the jump for my list-based review of the Justice League movie! Expect FULL SPOILERS! And I’d love to hear your thoughts in the comments! Simply put, Justice League is an enjoyable, pretty entertaining movie. It was like a mild episode of any of the Justice League cartoons. A perfectly adequate way to spend two hours in the theater watching superheroes hang out and punch bad guys. Just don’t expect anything really funny, really exciting or really emotional. I wasn’t bothered by the pacing or editing, like I was in Man of Steel and Batman v. Superman. It flowed just fine. There were a lot of different characters to get together, but instead of cutting to a new scene after a couple seconds, like in BvS, the scenes we did have moved along nicely. I was fine with that. The story was simple and easy to understand. I’ll get to my complaints with the story later, but at least it wasn’t a drag or overly complicated. The bad guy was threatening the world, so the superheroes banded together to try and stop him, with some action scenes and some talking scenes. Solid stuff. The characters were especially entertaining. DC has at least done a good job with casting. I like Affleck as Batman, and they did a fine job with him this go around. He really comes off as human and relatable. Gal Gadot is great as Wonder Woman again, building off her solo movie appearance. I liked Jason Momoa as Aquaman. He was tough, gruff and energetic. I really liked Ezra Miller’s awkward nervousness as the Flash. It was endearing and funny and helped him to stand out in the ensemble. Ray Fisher’s Cyborg was OK. I liked his grave-digging scene with the Flash. That was nice for some character interaction. And I even liked Henry Cavill as Superman! That was surprising. DC seems to take all of our complaints to heart. They course-corrected parts of Batman v. Superman in light of the criticisms of Man of Steel, and they’re clearly doing the same with Justice League. It’s neat to watch. Obviously the tone is different, even though it’s probably safe to say that Snyder wanted to make Justice League exactly like Batman v. Superman. I think DC took the criticism to heart and purposefully recut Justice League to be more fun and light-hearted. And this is nowhere more apparent than with Superman. The first thing I noticed was that Superman’s costume is way, WAY brighter and more colorful than we’ve seen it in any modern Superman movie. The blue parts are actually blue and the red parts are shockingly red! How refreshing! And Cavill actually got to be charming and ‘aw shucks’ heroic as Superman. I did not see that coming! There might be hope for the character yet. 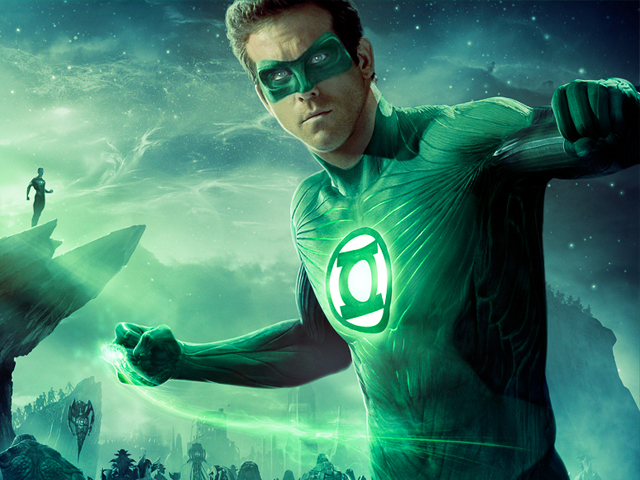 What’s a good superhero movie without some Easter Eggs? Tossing in a couple random Green Lanterns, including a close-up of the ring going off in search of another host, was just plain giddy fun! Not as cool as if a GL had actually shown up in the modern day with the modern heroes, but it was a cool addition nonetheless. Gets me excited to think about a rookie GL in this universe looking to join the Justice League. Explode the missile while it’s in his hand!! Brace yourselves, this is going to be a long rant. While I do consider the movie to be enjoyable and easy to watch, it’s largely that way because the villain and his evil plot are the most basic, boring and arbitrary stuff I think I’ve ever seen in a superhero movie. 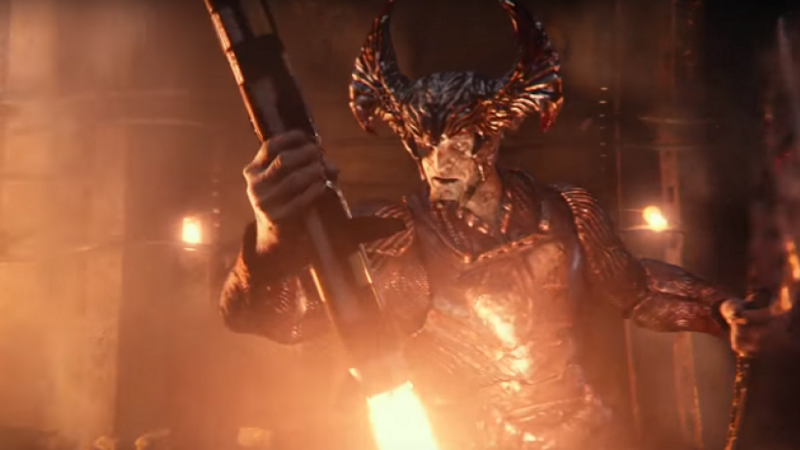 Steppenwolf was the worst possible choice for lead villain. I’m a comic book geek and even I’ve never heard of the character before now. He was boringly plain. He was just another big, hulking CGI nobody to get punched around, just like most DC movie villains. Nothing about him stood out, not his personality, not his powers, not his look, nothing. He was just a generic bad guy nobody. He sucked. Say what you will about Marvel’s villain problem, but at least their villains have personality, and the actors can actually put themselves into their performances. I wouldn’t be surprised if Steppenwolf was created solely from a computer program. I looked up his actor on IMDB and was surprised to see who it was! What makes this even worse is that DC has so many great villains to choose from! If you want a big hulking bad guy, why not go with Despero? At least he’s pink! And has three eyes and a crazy fin on top of his head! He’s also telepathic! There are so many better choices of villain, from Starro to Toyman to Gorilla Grodd to Solomon Grundy to Lex Luthor again to pretty much anybody. Any other possible character in DC’s villain pantheon would automatically have more personality and presence than Steppenwolf. 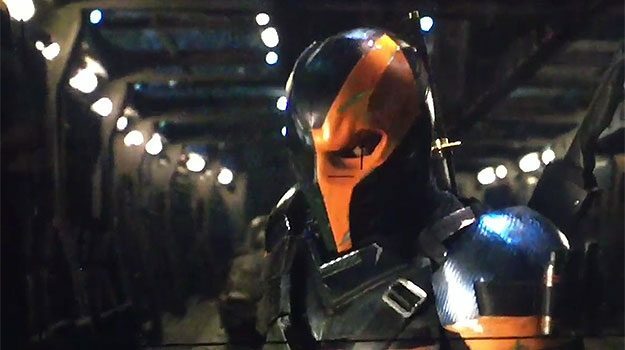 Why not go with Deathstroke straight up instead of saving him for an after-credits stinger? Obviously the plan was to have Steppenwolf lead to Darkseid. I think he even mentioned Darkseid’s name at one point. So why not just go with Darkseid? Why throw one of his lackeys at the Justice League first? And for that matter, why Steppenwolf? Of all the New Gods villains, why that nobody? Why not Orion or Kalibak or Granny Goodness and the Furies? 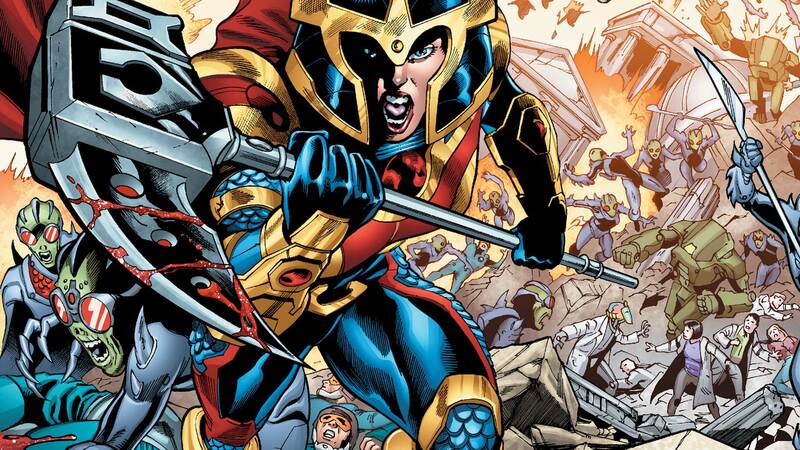 Or have Big Barda as the villain and save her for a redemption storyline later? There were so many better villain choices! On top of being a terrible villain, his evil plot was just plain boring with a lot of weird, arbitrary rules that make no sense other than to either pad out the story or provide action scenes. For example, when the Justice League use the Mother Box to resurrect Superman, why does the Box need a big electrical charge? And how do they know that Flash has to zap the Box the exact moment it touches the liquid? This is an entirely hypothetical experiment they’re performing, which they just came up with a couple minutes ago. Why does the timing have to be that precise and how do they even know that? It’s all arbitrary to get this big, flashy super speed/slow motion moment in the middle of the film. But it doesn’t stop there. Nearly everything about Steppenwolf and the Mother Boxes is sloppy and arbitrary. And if you don’t mind, I’m just going to rapid-fire all my inane questions. First of all, why even change Mother Boxes from their comic book version into this new version? Why are there only three? Why does combining them matter? Why were they ever separated in the first place? Why does it take so long for the three to combine into one once the process has started? How does the League know it will take “hours” for the boxes to combine? Why is there such a powerful energy surge when they’re pulled apart? Where has Steppenwolf been all these centuries? He wasn’t defeated in that big, ancient battle, he only retreated; so why did he stay away until now? Why can he just teleport directly to the boxes’ locations? Why does it take him so long to teleport to the next box? They said in the movie that the Amazons went to their hidden island and Atlantis sank under the sea after the big war, so why was Steppenwolf able to so easily find those boxes? Especially when he couldn’t find the third box, which was apparently just in Cyborg’s locker, or something? What happens to the boxes now to prevent anybody else coming after them? Did the movie even say what the League does with the boxes? Everything about the villain and his evil plot in this movie was a stupid. That’s no way to make the first Justice League movie. Though we don’t have any official confirmation yet, I’m pretty sure the scuttlebutt around the internet is that Ben Affleck wants out of playing Batman. I’m not sure why, though. I think he’s also said before that playing Batman in a movie is any geek’s dream come true! 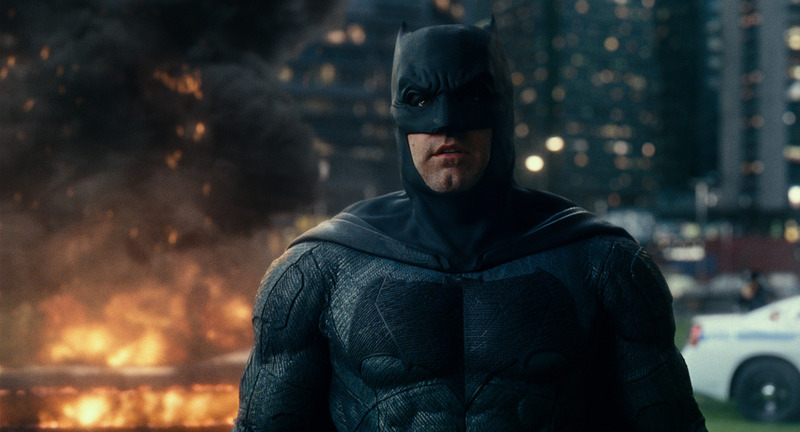 Yes, the material isn’t so great, but Affleck is an awesome Batman! He’s got great physicality, and he does a swell job as a down-to-Earthish Bruce Wayne. I would love to see him in a solo Batman movie, especially one he was writing and directing, as was the original plan. But I suppose all good things must come to an end. And I’ll be sad to see him vacate the role. 1. Bring on the Legion of Doom! What is the one big thing that the Marvel Cinematic Universe hasn’t done yet, despite all their films? They’ve never had a big hero team vs. villain team brawl! The X-Men have done it a couple of times, but neither the main Marvel movies or any of the DC movies have featured a big fight between heroes and villains. Marvel had a big hero vs. hero fight in Captain America: Civil War, and it was amazing! But whenever the Avengers get together, they usually just fight a bunch of boring henchmen and one singular lead villain, like Loki or Ultron. So DC might actually beat them to the punch! The post-credits stinger at the end of Justice League had Lex Luthor recruiting Deathstroke the Terminator to form “a league of their own”. That’s totally Legion of Doom territory! And while Marvel is busy taking on Thanos and his henchmen, DC could slide right in with a Justice League sequel that pits our heroes against a whole team of equally unique and colorful villains! No more of this single big bad and an army of henchmen garbage! We don’t want to see just Darkseid with parademons next time! Give us the full Justice League vs. Legion of Doom! This is just a personal gripe of mine and doesn’t really contribute anything to my review, but man, every time I saw the team together or heard someone talk about Batman playing well with others, it just twisted the knife a little bit more that Robin is already dead and gone in this universe. 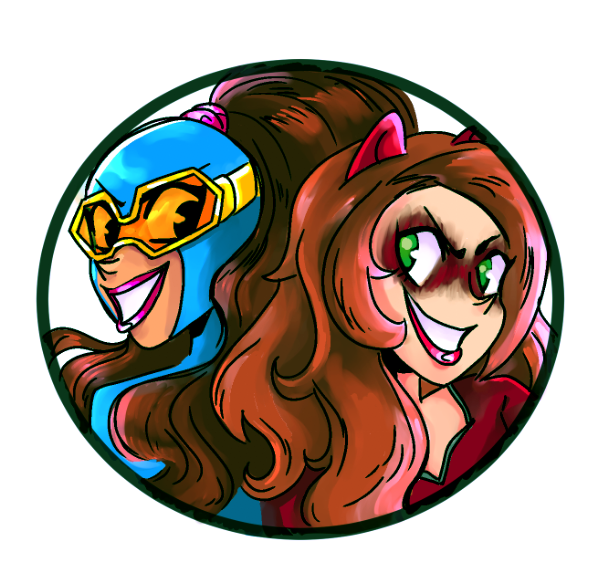 Like, we’ll never get to see what their partnership was like. 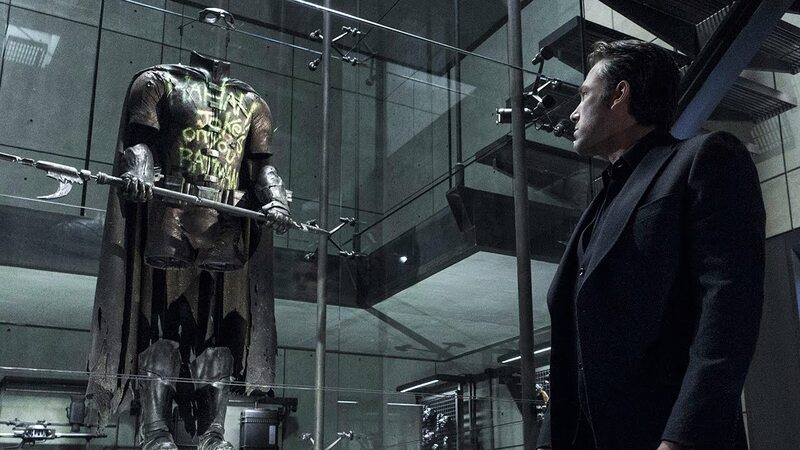 When Barry Allen searched the Batcave at super speed, he didn’t bother to stop and look at the memorial to Robin. When Commissioner Gordon mentions Batman playing well with others, there’s no mention of the partner Batman used to have. As a huge Robin fan, it’s still just rather depressing that we might never get a proper Robin in the DC movies. Posted on November 22, 2017, in Batman, DC, Lists of Six!, Movies, Reviews, Robin, Superman and tagged Aquaman, Cyborg, Flash, Justice League, The Flash, Wonder Woman. Bookmark the permalink. 1 Comment. Super interesting and very thorough review! I agree with you on most points, although I think that the fight with Ares was worse than the fight with Steppenwolf. Despite absolutely loving Wonder Woman, I can’t take David Thewlis’ moustached greek god seriously once he dons the CGI armour. It’s going to be heartbreaking to see Batfleck go, and I definitely agree with your point about Robin. It would have been really great to see that relationship.